What could possibly go wrong that would force you to cancel your annual conference? Weather-related events, civil unrest, and power outages are only a few things that may impact our best-laid plans. A more specific question is: would a severe curtailment or cancellation of your event cause you financial harm? If your answer is yes, then save Thursday, May 16 to attend our program. Learn important terms and the reasons to consider event cancellation coverage from an insurance industry professional who works with associations and non-profits. Normal property and liability policies do not cover for loss of revenue. Find out which costs you can fully recover with the proper insurance policy. Patti is Vice President of Client Services in AHT’s Virginia location. She manages AHT’s nonprofit book and works directly with complex nonprofit accounts. Patti has extensive expertise in the Nonprofit industry and remains fluent in the client industry changes. Currently, Patti serves as an active member of the Finance and Administration Roundtable, also known as FAR. She joined AHT in 1991 after developing a broad base of insurance experience as a marketing specialist for a large independent broker. She later assumed the role of Director of AHT’s nonprofit practice in 2015 after serving as the Assistant Director of the division since 1995. If you need to cancel your registration, please email RHMP at rhmp@apexmeetings.com by May 13 so that your seat can be given to another meeting professional. 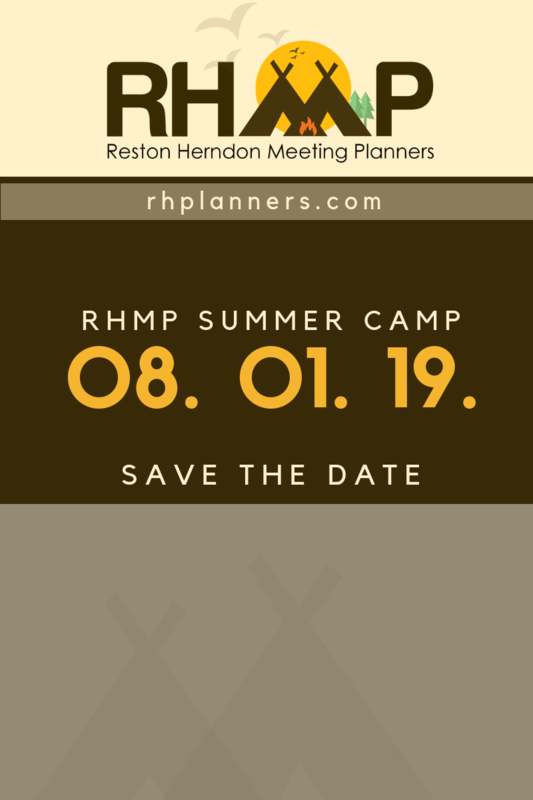 RHMP seeks the right balance between planners and suppliers to provide a meeting-planner-safe-environment where we can focus on learning and networking with peer-planners. For the past few years, our goal has been to achieve a 2:1 (planner: supplier) ratio. To honor our planners and ensure that we have a diverse supplier participation, supplier registration is limited to one per organization (sponsors excluded). The new registration cost for suppliers is to help RHMP develop financial resources to continue to grow and provide opportunities that benefit both planners and suppliers. Thank you for helping us create an environment that is welcoming. March 15, 2018 "Harassment: In the Workplace, At Your Event"
January 18, 2018 "Emergency Preparedness"
September 15, 2016 Beyond Hashtags: What Media Trends Do You Need To Be Aware Of?